Update: Due to construction in our production area, regularly scheduled public tours have been postponed until further notice. If you have a party of 10 or more and are booking a reservation and would like a private tour for your group, click here. Hops, Malts, Water … ever wondered how they come together to create great Old Ox beer? 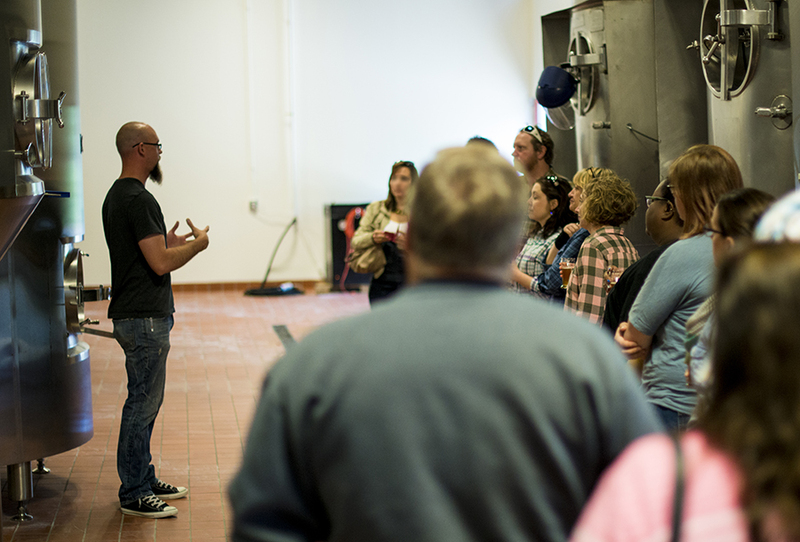 Get a behind-the-scenes look of Old Ox Brewery! Price: $10 per person includes the owner-led tour, four 4-oz. samples of your choice of beers and an Old Ox 12 oz. snifter to keep take home! We do accept private tours for large parties if you book in advance! Click here to book a reservation and private tour at Old Ox!